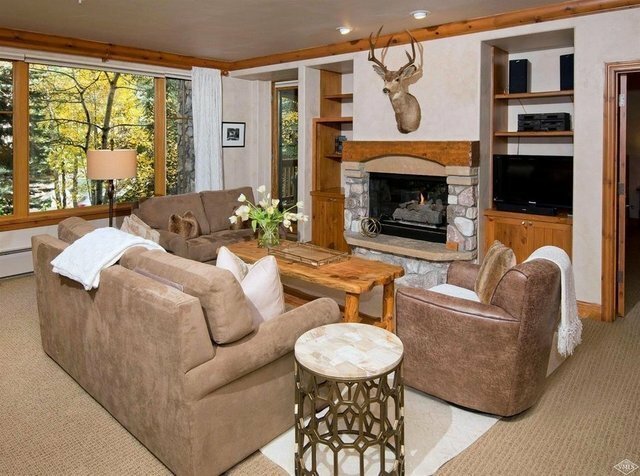 Elkhorn Lodge is known for its timeless Mountain Lodge design. This 2 bedroom residence is offered fully furnished and has ski-in/ski-out access, a fully equipped exercise room, heated underground parking, outdoor hot tubs, owner's storage, ski locker and a staffed owner's desk. Located adjacent to the BC Golf Clubhouse, this residence delivers convenient access to all of Beaver Creek's recreational amenities. One of the best HOA's in the area.